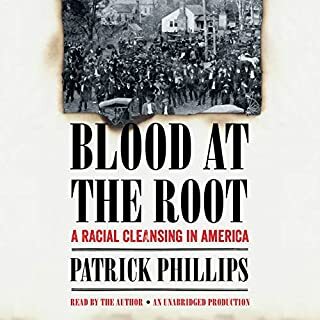 I just finished the book, "Blood at the Root - A Racial Cleansing in America" by Patrick Phillips. It's the history of events in Forsyth County, Georgia, in 1912. In September of that year, a young and beautiful white woman was found brutally beaten and raped. A young black man was arrested, then lynched in the town square, based on the evidence that he lived nearby and had been seen in the area where the woman was found. Not satisfied with the lynching, 2 more teenagers were arrested and convicted and executed at a public hanging enjoyed by more than 5000 of Forsyth County's citizens who came for the day with their children and picnic baskets. Not satisfied with the lynching and executions, the white citizens of Forsyth County set about a series of "night rides", shootings, burnings and bombings, intent on driving Forsyth County's 1100 black residents out of the county. Not content with driving the blacks out, whites then quietly absorbed the land and property of the 1100 mostly farmers who had been forced to leave. For the next several decades, this pattern of violence was repeated again and again whenever any unaware black person happened to wander into the county. In 1987, when a civil rights march was planned to remember the 75th anniversary of the ethnic cleansing of Forsyth County, white citizens once again erupted in a riot of violence and hatred. Today, Forsyth County has a small black population, and larger Latino and Asian communities, and has become an affluent, peaceful suburb of Atlanta. In the town square there's still a statue of local Confederate hero and adamant white supremacist, Hiram Parks Bell. There's no memorial to the hundreds of poor blacks who were beaten, raped, burned, lynched, and driven out in the decades after Hiram Bell's war, no real memorial to the real history of the county. And of course, this wasn't an isolated event. Similar racial cleansing took place all over the country. The pattern is always the same - a crime, a scapegoat, mob violence, expulsion, then finally, possession of land and property. Last month I saw a meme in a Facebook post from a friend of a friend with the tagline "100% white, 100% proud". The text of the meme was the question, "when is white history month?" White history month is every month. And I've got your history right here. Published 150 years ago, Charles Darwin's On the Origin of Species - the text that introduced the world to natural selection - is among a handful of books that have changed the world. But the route to that status has been surprisingly circuitous and uncertain. Now, in 24 absorbing lectures by an award-winning teacher, you'll learn the remarkable story of Darwin's ideas, how scientists and religious leaders reacted to them, and the sea change in human thought that resulted. 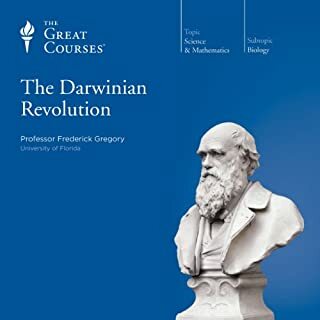 I just finished "The Darwinian Revolution", part of The Great Courses series, narrated by Professor Frederick Gregory. I really enjoyed this very in depth discussion. It wasn't just about Darwin's theory but its historical and scientific context and consequences. 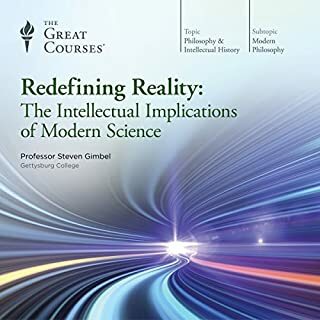 Prof. Gregory is one of the most enjoyable lecturers I've ever heard in an audio book. Darwin's theory wasn't evolution - by the time Darwin published his famous book the idea of evolution had already become evident to many who had become aware of the new science of geology (which discovered the tremendous age of the earth) and the record left by fossils (which were just beginning to be understood as the remains of ancient creatures, not just fancy gewgaws left behind by God for man's bemusement). Just previous to this book I read another very good one on geology called "The Map That Changed the World: William Smith and the Birth of Modern Geology" by Simon Winchester, another favorite of mine. I recommend it for a good overview of the beginnings of the science of geology. No, Darwin's theory was the theory of natural selection, the first well reasoned explanation of a natural mechanism for the evolution of life. The theory of natural selection was accepted reasonably well considering the science of the times. It had some problems. Where were the transitional fossils? How did small advantageous changes get established in a large population, rather than simply being subsumed back into it? But by far the theory's biggest problem, in the age of Victorian scientific progress, was that evolution by natural selection was purposeless - it had no goal. What good is progress if there is no worthy goal to progress towards? Evolution by natural selection lost popularity after Darwin's death and reached its lowest point around the turn of the 20th century. Then scientific discovery gradually began to catch up with it. The fossil record became more and more complete and transitional forms were discovered. Microbiology began to understand the role of chromosomes in reproduction, and with the discovery of DNA, (and more importantly, the way DNA was able to replicate itself) a method for both the generation and preservation of random mutations became known. And so natural selection once again became the favored mechanism for evolution. Professor Gregory spends a few chapters addressing fundamentalism, creationism, and intelligent design, and like some other authors (I'm looking at you, Richard Dawkins) manages to put them in their proper historical and scientific context without being either condescending to their supporters, or insulting to the intelligence of the reader. He also discusses the two most well known mis-applications of natural selection, "social Darwinism" and eugenics. All in all a very interesting read (listen). Professor Gregory's style is very engaging and manages to navigate through complicated scientific and cultural waters without getting lost in details, or becoming a boring drone. This is a long book, at almost 30 hours, and if you're like me and listen to your Audible books during your commute (and you live close to work) it takes a while to get through it. But I'm glad I did. Campbell tells the story of Texas from the arrival of the first settlers 10,000 years ago until the 21st century. What I like a lot about the book is that it tells the story of Texas from the point of view of each of its peoples, not just the American legends and history we were all taught in school (if you went to school in Texas). For the Anglos, Texas was a great opportunity to acquire cheap and fertile land and become independent of whatever ills they left behind in the old United States, and after the Civil War, a place for southern refugees to escape the destruction of the south and start over. For Germans and Jews fleeing oppression and chaos in Europe, it offered an open landscape with few limitations. And later, opportunities for people from around the world. For the Mexicans, it's is the story of losing a country to immigrants who, for the most part, had no interest in the language, flag, religion or customs of their newly adopted home. Mexicans were crowded out by sheer numbers, institutionalized discrimination and occasional violence. More recently Mexicans and other Hispanics have returned and will soon predominate in Texas once again. For African Americans, the story of Texas begins with the forced relocation from home and family, as slave owners brought their slaves to Texas to grow cotton and other crops. Later came Jim Crow, the KKK, segregation and the battle for civil rights. The history of African Americans in Texas is not a pretty one. For the native Americans the story of Texas is about dislocation, betrayal and annihilation, the end of a battle that had begun decades before Texas was even a destination. The author shows us the rise of the myth of the cowboy, from its beginnings on Mexican haciendas to the glory days of the cattle drives. We learn the origins and history of the Texas Rangers (not the baseball team, although that's discussed as well) - the good as well as the bad. We learn the details of Mexican political history that led to the rise and fall of Santa Anna and the revolution. Of course the battles of the Texas Revolution are covered, as well as enough biography (good and bad) of each of the players to get a real feel for the personalities on all sides of the question of Texas independence. It's especially interesting, as a 5th generation Texan, to hear the stories behind the men whose names cover the Texas map. Not just Austin and Houston, but Lubbock and Worth and Throckmorton and Rice and Navarro and on and on - all the place names I associate with my travels around the state. I also enjoyed hearing the details of the political debates from the past 200 years. You'll recognize them as exactly the same as what you hear today in election ads. My only real objection to the audio book is the reader. A book on Texas should be read by a Texan, someone who knows how to pronounce words like Mexia and Wichita, he even gets Clements wrong. 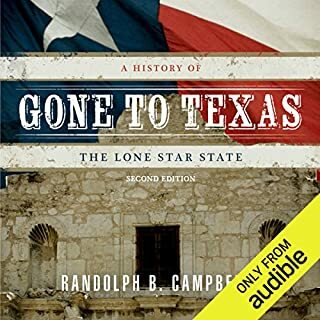 But if you can get past that, you'll find this a very interesting, complete and thought provoking history of all the millions of people who have gone to Texas. Certainly one of the best books on WWII that I've read. It's much more a soldier's diary than "a shocking look inside Hitler's war machine", although there is inevitably some of that. 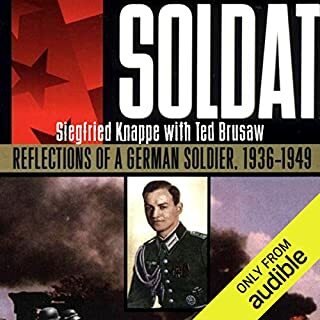 It follows Knappe from the end of high school through the army's battles - Poland, France, Italy, USSR, the final days in Hitler's bunker and Berlin, and his capture and imprisonment by the Soviets for the 4 years following the war. Along the way we glimpse the European countryside and German gentile culture, family life, love and marriage, as well as disillusionment and disbelief at the tragedy and horrors inflicted both by, and on, Germany. 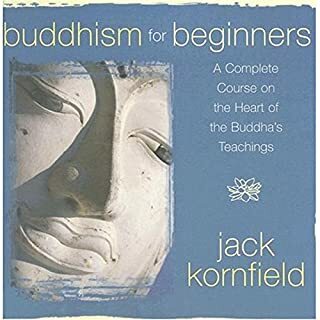 Jack Kornfield is a blessing. I found him after listening to quite a bit of Alan Watts. I was immediately put off by his voice - rather like Mr. Rogers - but very quickly I came to love his quiet and gentle approach. This is the only book that I've ever started over as soon as I completed it. I imagine I'll listen to it a third time as well. I really enjoyed this book. It's one of those great books that riffs on a simple theme, in this case the periodic table, and pulls in stories from all over - science, history, trivia. The author loves his language a little too much for my taste in places, and is a little too clever at times, but I'd rather have a rich dessert than something plain. Sean Runnette does an admirable job most of the time, making me wince only a few times, like when he mispronounces "kludge", and occasionally his sentence fragments have the wrong emphasis, and so miss the point of the sentence, but again, I've got no major complaint. The one error in the book that I heard is when the author states that our "galaxy" has 9 planets, when he no doubt meant to say "solar system". The text is full of "Author's Note" asides which are enjoyable little detours and details. 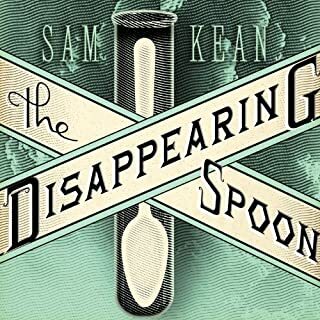 If you like science books in the vein of Simon Winchester, for instance, you'll enjoy this book.